The Delhi High Court held Congress leader Sajjan Kumar guilty in the killing of Sikhs and sentenced him to imprisonment for life, 34 years after the violence. Terming the 1984 killings of Sikhs the "first major state-sponsored riots", the Aam Aadmi Party (AAP) on Monday said the 2002 Gujarat violence would not have happened if the people guilty of 1984 violence had been punished. On Monday, the Delhi High Court held Congress leader Sajjan Kumar guilty in the killing of Sikhs and sentenced him to imprisonment for life, 34 years after the violence. 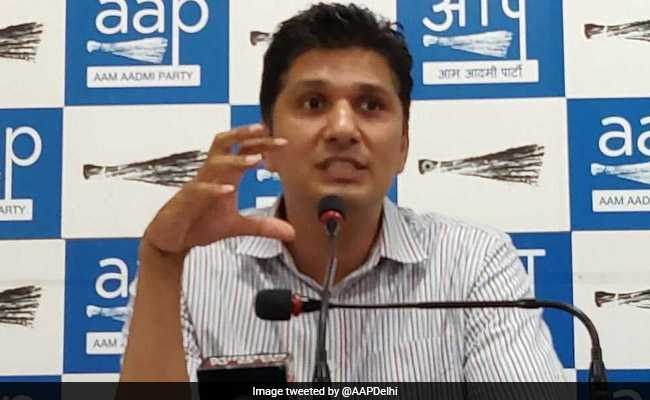 AAP spokesperson Saurabh Bharadwaj told IANS: "If exemplary punishment had been given to the perpetrators of 1984 riots, nobody would have repeated it in 2002." He said the conviction of a senior political leader like Sajjan Kumar showed that the judiciary had started to work now and justice was being served to the victims. The Greater Kailash MLA underlined that the High Court had compared the 1984 and 2002 riots, saying both had "political patronage" and "state sponsorship". "We have been saying that the 2002 riots were clearly state-sponsored. The BJP was in power in Gujarat and at the Centre. Now speedy justice should be served for the 2002 riots as well. There should be legal proceeding against those involved, including the political higher-ups (Prime Minister Narendra) Modi and (BJP President) Amit Shah," he said. The 2002 Gujarat riots erupted after a coach of the Sabarmati Express was set on fire at Godhra, killing 59 people. More than 1,000 people were killed in the riots. The 1984 riots followed the assassination of then Prime Minister Indira Gandhi on October 31, 1984 by two of her Sikh bodyguards. While Narendra Modi was given a clean chit by the special investigation team (SIT) in connection with the 2002 riots, it has been challenged before the Supreme Court. 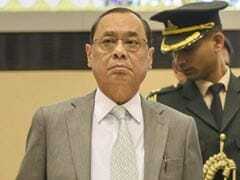 Mr Bharadwaj accused both the Congress and BJP of not giving justice to the innocents. "Justice should also be served for 2002... But if the same timeline used in 1984 is followed, it will take a long time," he added. The Delhi High Court said the 1984 violence was "neither the first instance of a mass crime nor, tragically, the last. "The mass killings in Punjab, Delhi and elsewhere during the country's partition remains a collective painful memory as is the killings of innocent Sikhs in November 1984. There has been a familiar pattern of mass killings in Mumbai in 1993, in Gujarat in 2002, in Kandhamal, Odisha in 2008 and in Muzaffarnagar in UP in 2013 to name a few," the judge said. It said the things "common to these mass crimes were the targeting of minorities and the attacks spearheaded by the dominant political actors being facilitated by the law enforcement agencies".